Philippe Telio’s excitement about his startup, International Startup Festival, is genuinely infectious. Telio has managed, for the second year in a row, to corral an all star line-up of hearts and minds well versed in startup culture for the purpose of motivating and mixing the of mentors with newbies for three days of talks, pitches, awards, and fun in Montreal. Sitting down to speak with Telio in between his planning and organizing for this years festival slated between July 11-13 2012, I had the opportunity to discuss with him who he’s looking forward to hear speak, the guy who invented the modern spreadsheet, and what role having kids has in the context of startups. Where do you feel the inspiration for the International Startup Festival came from? The inspiration for the festival came from the fact that we were doing this even called Startup Camp Montreal. We also did that event to be in the center of the marketing community for Embrace (Telio’s company). 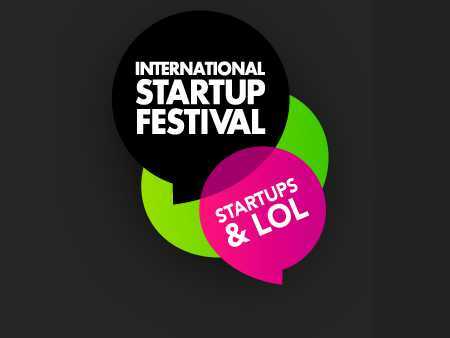 It quickly became something we loved doing and from there we decided to launch International Startup Festival. While this will be the second year of the festival, can you tell me how last years festival went? It was phenomenal. We were over 1,100 people with participants from 16 different countries! Obviously things like health care, the environment, education are things that matter but if you look at things like Twitter, Twitter matters. Twitter is new tool for people to communicate, self organize, and rally around a cause so Twitter is not a health care application but it’s a social communication tool and as such it’s impacted a very large number of people. For us, things that matter are things that impact a very large group of users. Are there any startups you’re already very excited about for this year’s festival? We don’t screen the startups so the truth is that I’m excited about all the startups! 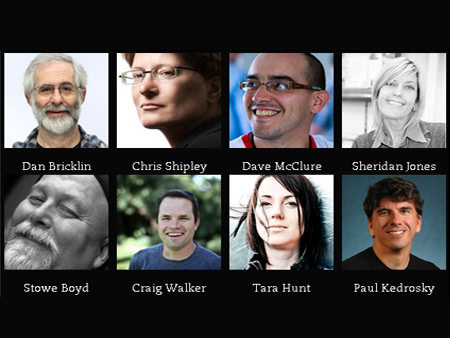 Are there any speakers this year that you’re particularly looking forward to? We’ve got some really fabulous speakers this year. Each brings something different to the festival. I’m excited to hear from Dan Bricklin, the guy who invented the modern spreadsheet in 1972. He’s going to walk down memory lane talking about the early days of the Internet. I’m also looking forward to Craig Walker who has an extremely impressive background in building businesses that get sold to Google. He invented Dialpad which was the first Voice over IP computer to computer phone system. 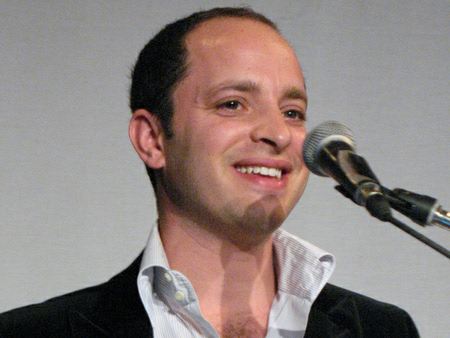 He began GrandCentral and that was bought by Google and became Google Voice. Skype exists because guys like Craig Walker thought of Dialpad. Paul Kedrosky spoke last year and he’s a fantastic speaker as well. Howard Lindzon is dynamic and interesting and we also have Cindy Gallop coming from New York who is very a passionate woman who has a lot of very good things to say. 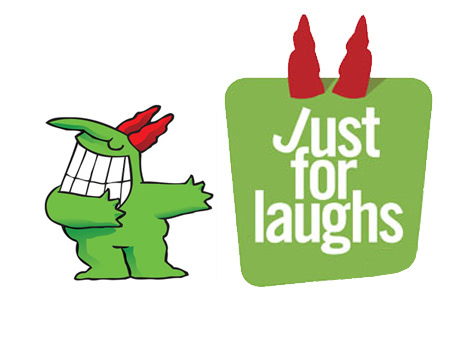 It’s important to notice that Startup Festival is partnered up with the world’s largest comedy festival, “Just For Laughs.” As a result of that, everything we do, we try to find some sort of twist that makes everything enjoyable and fun. And so when we were looking to create panels of judges to judge the startups we thought about having another demographic of atypical or non-standard judges and we came up with the idea of the Grandmother Judges. They were absolutely fabulous last year. They put their hearts into listening to the startup pitches and they ended up picking a startup out of Israel called Onavo which went on to raise $13 million in funding. This year we decided to add the teenage judges with the same principal. They know tech really well and we ended up picking a group with a keen sense of entrepreneurship and look, these are big users! Women in their 50’s and older are one of the fastest growing demographics of users on the Internet and teens are very involved as we know so for startups these aren’t investors but real case users. So, chances are if users like what you’re doing then investors will too. How about the largest satisfaction in your business life? What’s important to you in this context? For me it’s making sure that the people around me are having fun. Tell me how you picture the festival in five years? I picture the festival in five years as an augmented experience of the match between doing business and enjoying that process. Also, I see us as a much bigger event but always with an emphasis on both business and pleasure. What’s your best tip or life hack for balancing work and life? I would say “have kids.” Yeah, you get into a situation where you’re required to balance life and your work because there are another set of people in your life that aren’t consumed by your business.